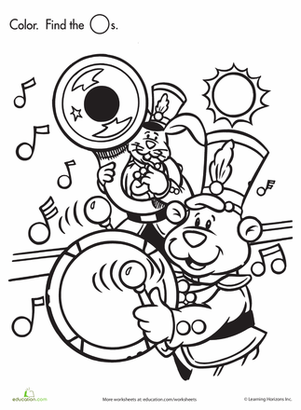 These cute critters have gotten their tails all mixed up! 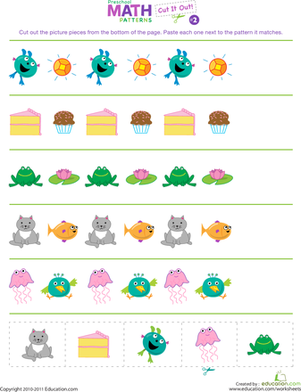 Have your little one help put them all back in place. 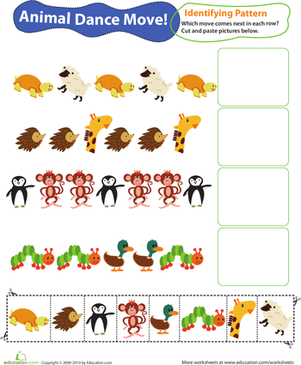 This animal activity is a fun way to learn sight words and review colors. 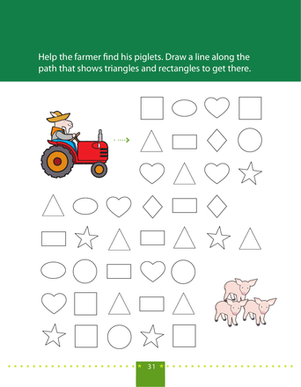 On this prekindergarten math worksheet, kids draw a line along the path of triangles and rectangles to get to the piglets. 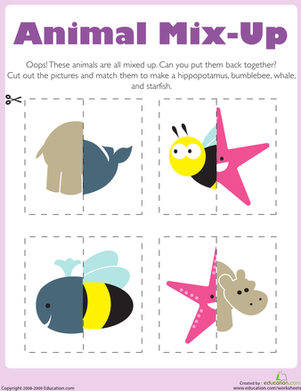 Looking to help your kid prepare for kindergarten? 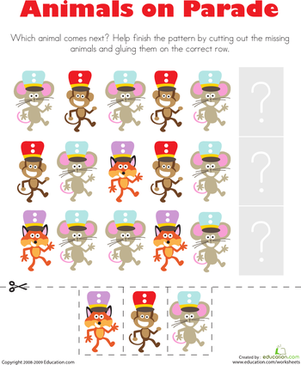 Packed with cut and paste fun, this worksheet is just the thing to help him learn about recognizing patterns.